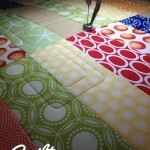 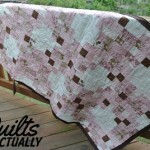 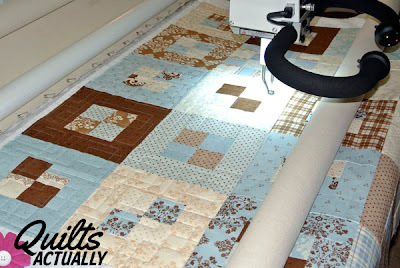 This quilt is from “Jelly Roll Quilts” by Pam & Nicky Lintott. 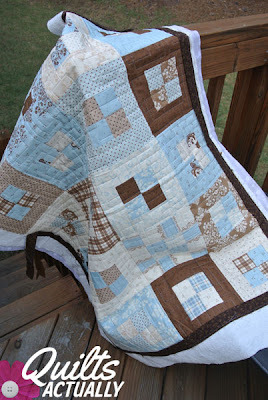 It is a sweet blue and brown baby version. 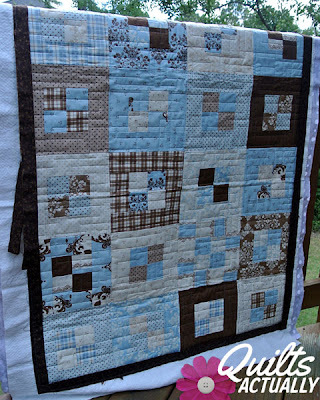 I quilted it with interlocking squares in a geometric pattern to make it a little more masculine and to help it survive lots of use. 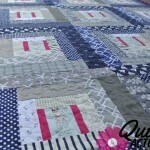 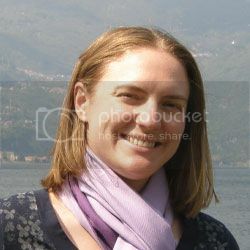 A closeup of the quilting design. 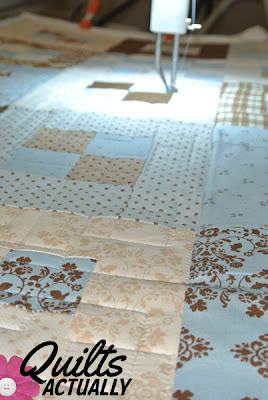 I used light blue thread that blended nicely into the blue portions, but didn’t stand out too much in the cream and brown sections.